If you have been waiting to get in on the Best Senior Portraits in Houston, now is your time! We have limited spots to fill our April and May calendar and we are offering an awesome sale of 50% off your session fee, which is regularly $250. We thought this would be a fun idea for the first 30 people who call to book and we want YOU to be a part. Seven spots have already been booked, so act fast. Jeff Dietz Photography specializes in magazine quality photos for Seniors. Everybody is an all-star in front of our cameras. Celebrate all those years of hard work your son or daughter have put in to get where they are as seniors. Are you an athlete? You can also sign up for our Fashion Sports Portraits. We are coming to Katy Texas to bring you what we have mastered with over 15 years in business. We created the Fashion Sports Portrait for students and parents that wanted a higher level of quality than what was typically presented for senior athletes. We wanted it to look and feel like you were being featured for a magazine like Sports Illustrated, GQ, Vanity Fair, or similar celebrity magazine. 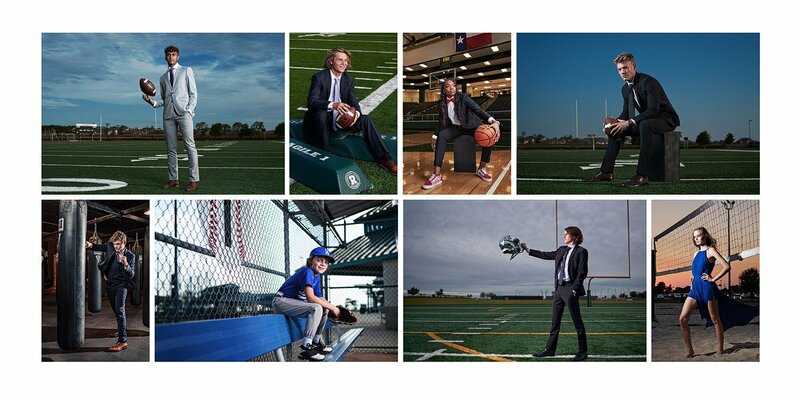 We wanted to elevate Katy Sports Portraits to a whole new level. The Fashion Sports portrait was born.